After every major tragedy, there is always a compulsion by everyone, media and viewing public alike, to control the narrative, to explain away the unexplainable into easily digestible sound bites. Such explanations provide some sense of security, of the irrational made rational, the feeling that we can turn every story into a simple formula for prevention, a way to stave off our ultimate fear of death. However, the explanations can become facile, reductive, even destructive as in the case of the recent Germanwings tragedy. With garish headlines in every major newspaper blasting “depression” as the cause of the tragedy, people are too readily blaming mental illness as the enemy of public safety. The implication is that because Andreas Lubitz had a history of a “severe depressive episode” six years ago, he should have automatically been disqualified as a potential threat to future passengers. 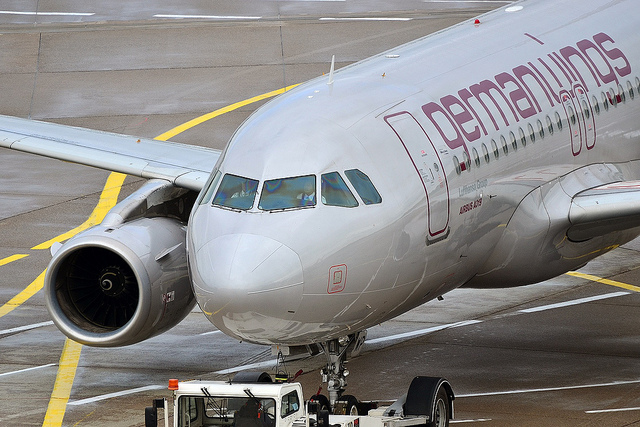 Such a simple preventative measure was missed, and Lufthansa betrayed us all, some suggest. Yet this portrayal is not only wrong, it is toxic to the vast majority of people struggling to overcome the stigma of the most common mental illness in the world. Depression is rarely ever associated with homicide or mass murder, which is technically how we should describe this pilot’s acts. Most people with depression surround you everyday, quietly going to psychotherapy or taking medications as needed, working successfully at high-powered, high-responsibility jobs around the globe. Many are actually functioning perfectly fine as pilots; the FAA permits limited treatment with one antidepressant medication at a time, with regular check-ins. As someone who supervises mental health screenings, I am well aware of the trade-offs of overly restrictive “checkpoint” measures people must pass through in order to keep their jobs. Stigma and judgment is a major issue that people struggling with depression and anxiety face daily, and it causes many people to avoid disclosing their condition or treatment to their employers. Privacy laws like HIPAA also protect people from disclosing medical information to the outside world, given the potential for misuse. In some cases, people may avoid getting the help they need because screenings can label them as “higher-risk” if the criteria are too strict. Such a designation can lead to increased scrutiny and mistrust at work. Their concerns seem valid after seeing suggestions in the media implying that anyone with any history of depression should be banned from flying, even though it remains far from clear that depression drove Lubitz’s homicidal behavior. Others have wisely noted that narcissistic and sociopathic personality traits might be more to blame; their relationship with mood disorders is a complex one, and not a simple correlation. There are many people with dangerous personality disorder traits who are not depressed, and most people with depression do not have personality disorders. Some reports have also noted that it is easier to blame Lubitz’s depression because he appeared to be an upstanding white man, instead of following the usual storyline of the minority terrorist or oddball psychopath or criminal thug. It would behoove the media to be more conscientious and less sensational in their reporting on the relationship between mental illness and criminal behavior, because such reporting inflames misunderstandings about both subjects. These issues are not simple, black-and-white riddles with equally simple solutions. To use “depression” as the convenient scapegoat for homicidal behavior is irresponsible and disappointing. Only in recent years has the rise of social media and online forums permitted more open discussion about mental illness and the authentic experience privately endured by many brave people who have battled its many manifestations. Celebrities, writers, journalists and other very successful people have published searingly honest essays and articles about the multilayered experience of fighting symptoms in a world that still predominantly values outward emotional stoicism and a perfect public persona. But for every advance into clinical realism and compassion comes a setback, a lurch back into primitive sensationalism and cheapened storylines that view any sort of mental illness as a euphemism for “crazy” or “dangerous” or “unstable.” It remains to be seen how much societal damage and fallout will occur after this news cycle, and how many people who truly need help will hide their suffering, and at what cost. Photo by Dirk Vorderstraße via Flickr. I have been a Psychiatrist for over 25 years. The media has done a criminal job at distorting information at the expense of all individuals with a Mental Illness. The public is left with inaccurate portrayals of Depression in this recent tragedy. I fight so hard every day to tell patients that their depression is an Illness!. just like many other Illnesses. Unfortunately, the shame can still be immense for many. The idea that being depressed implies that they are "less than" , "crazy" or "not to be trusted" are just some of the invalid perceptions that depressed people already have! Good journalism around Mental Illness is essential for our society Immediately. Otherwise, all of those people who happen to become Ill are stigmatized incorrectly on top of trying to become well! Perhaps Psychiatry and Journalism should join forces, ie a" board", or panel, should be consulted before incorrect and dangerous information gets out there. Better yet, Are there any Psychiatrists who want to train in Journalism as "the experts" in theses situations? I would! This rambling post claims that 'depression is wrongly blamed', but provides no facts. Do we know how depressed the pilot was? No. Do we know how long his depression lasted, or how often it recurred? No. Do we know what medicines he was prescribed? No. Do we know what medicines he took? No. Do we know what medicines he took 'at the same time'? No. Do we know what medicines he 'stopped taking', or took on an on/off basis? No. There are few facts about his depression, and fewer about his medications. To suggest that "depression is wrongly blamed", is simplistic statement, driven by opinion, devoid of facts. And many of the facts are not available for examination. Why not? Does the author provide any alternative theories? No. Is it possible that the pilot suffered from some 'other mental illness', but not depression? Maybe, but depression was diagnosed. Were other mental illnesses diagnosed? Not as far as I know. Does depression lead to suicide? Of course it does, that's part of the definition of depression. Do depression medications sometimes lead to suicide? Yes they do, even sometimes stopping medications, without medical supervision, leads to suicide. This is clearly documented in the warnings published with the medications. Statements, like "depression wrongly blamed" can only be proven with facts. This author provides none. I would love to see the facts so that I, and the author, and the rest of us, could form our own opinions.